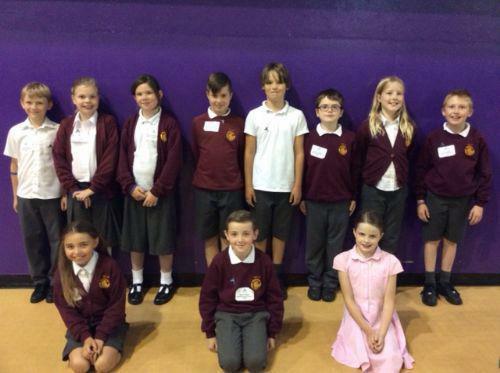 Twelve of our Year 5 pupils recently attended Anti-Bullying Ambassador training run by The Diana Award charity. The event at the Dormston Academy in Sedgley, was attended by around a hundred young people from all over the borough and beyond, with the purpose of alleviating bullying with positive action back at their respective schools. Our Anti-bullying Ambassadors will now serve as mentors in promoting important anti-bullying messages in both of the school playgrounds. The Anti-Bullying Ambassadors will also play a prominent part in Anti-Bullying Week (in November 2017) and reviewing our whole school anti-bullying policies. These children will have a big part to play in ensuring that bullying at Maidensbridge Primary School continues to be a very rare event indeed.